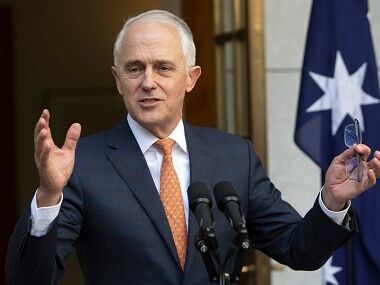 Canberra: Former Australian prime minister Malcolm Turnbull resigned from Parliament on Friday, triggering a by-election that could bring down the unpopular conservative government. The by-election in Turnbull’s wealthy Sydney electorate could be held as early as 6 October. House of Representatives Speaker Tony Smith said in a statement he was considering possible election dates. Turnbull has been criticised by former deputy prime minister Barnaby Joyce for refusing to stay in Parliament until the next election, due in May next year. “I don’t want to dwell on recent shocking and shameful events – a malevolent and pointless week of madness that disgraced our Parliament and appalled our nation,” Turnbull wrote of his ousting.